On March 10, 1804, France officially transferred ownership of the Louisiana Purchase to the United States. The Louisiana Purchase raised questions for Americans. What peoples and land lay in the newly acquired territories? Would the rivers lead them to the Pacific Ocean? Thomas Jefferson organized a Corps of Discovery, led by Captain Meriwether Lewis and Captain William Clark, to find the answers. 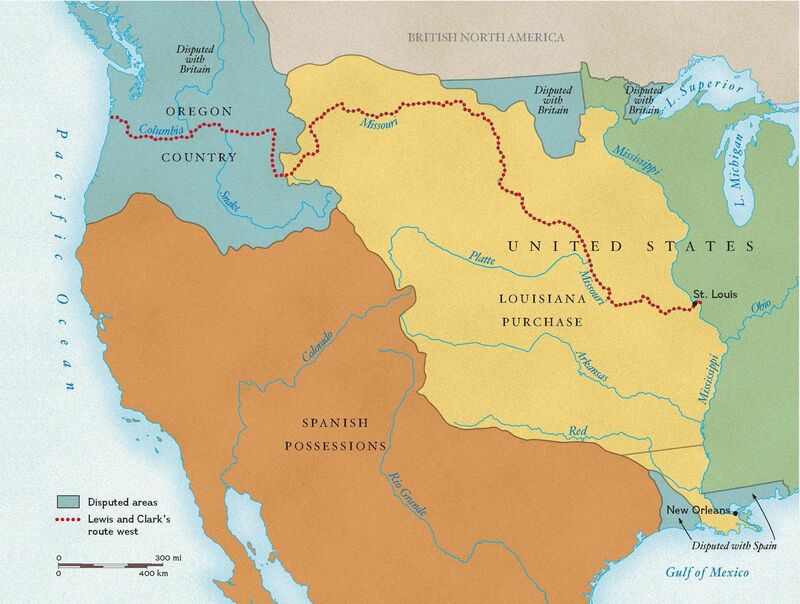 With the Louisiana Purchase, the Mississippi River, on which St. Louis sits, really did become the gateway to the west. The river formed the eastern boundary of the Louisiana Territory—a vast region stretching from the Mississippi Delta to what are now the Canadian borders of Montana and North Dakota. Just months later (in May) Meriwether Lewis, William Clark, and their “Corps of Discovery” departed from St. Louis to explore this new American landscape. group of people acting together, or with a similar purpose. increase in the price of goods and services. (1803) land bought by the United States from France, extending from the Mississippi River to the Rocky Mountains, and Canada to the Gulf of Mexico. to pass or switch from one to another.